Middle class Indonesians are really starting to enjoy drinking wine, and this can be seen in the opening of many wine shops and bars since the early 2000s. 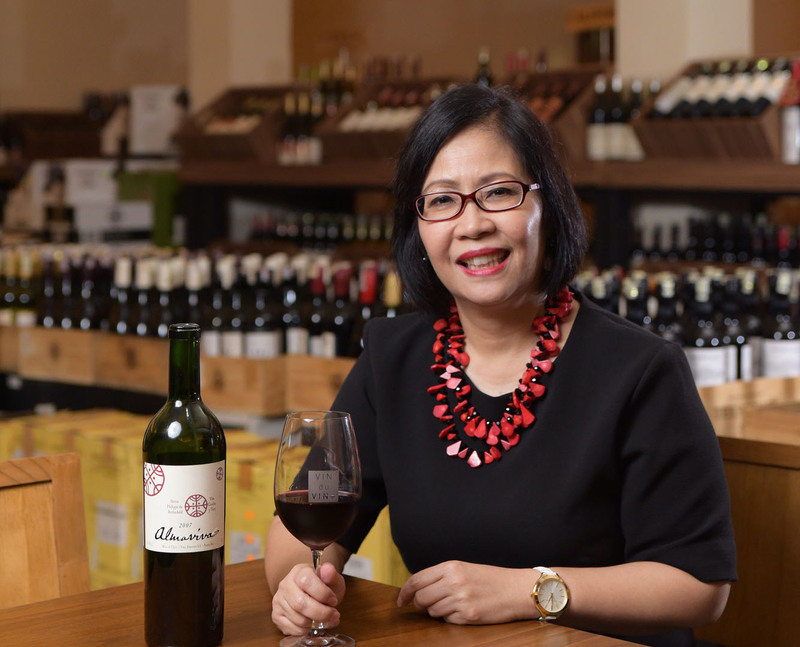 VIN+ is a pioneer in the wine retailer industry in Indonesia, and since its opening in 2004, the brand has expanded to five outlets across Jakarta and Bali. We meet General Manager of VIN+ Kemang, Central Park and Street Gallery, Yolanda Liz Simorangkir, to find out the secrets to its success, and if the business has been affected by the alcohol tax spikes of last year. When we hear the name VIN+, we automatically think of wine. Can you tell us the story of how the business was born and has developed over the years? In the early 2000s, there were only duty free wine shops available, which only catered to specific customers like expatriates, diplomats and some affluent Indonesians. Basically, wines were mostly consumed by these specific customers. However, after the economy crisis of 1998, we discovered that many locals from the middle class and upwards were starting to inquire and wanted to purchase wines. We assumed the interest in purchasing wines at the time was due to the fact that these people were exposed to wines while they were studying abroad, and when the economic crisis hit they were forced to return to Indonesia. After being away, they probably had adapted to the lifestyle of drinking wine and wanted to maintain this here in Indonesia. They began looking for places that sell wine but were not able to have full access to the existing duty free shops. This is when VIN+ was established; a wine shop with a large wine selection to cater to both expatriates and locals. The first VIN+ outlet was opened in Kemang in November, 2004. Our core values are to provide the best selection of wines and services to cater to all levels; from the beginners who are just discovering wines, to people with sophisticated palates. How successful has your concept – that of a wine shop accompanied by a bar serving wine and food – been? This concept has been very successful. After the first couple of years since our inception, the shop was doing extremely well, but customers were also now looking for a place to drink their wines. In 2006, we decided to expand VIN+ into a wine venue; a retailer, lounge and restaurant offering a place to drink wine and enjoy food as well. Since we launched this model, we have seen many venues with similar concepts open throughout Indonesia. One of them is Cork and Screw, and many others. The first VIN+ was opened in Kemang, Jakarta. How many outlets do you have today and how many staff work for you? We have four outlets in Jakarta and one in Bali. In total we have five outlets with about 300 staff working for us. What differences do you see in VIN+ Seminyak Bali and your branches in Jakarta? The concept is all the same; the only differences are the customer profile and the interior and layout. In Bali we cater not only to Bali residents but also to tourists. In general, people in Bali prefer to drink white wine and in Jakarta they prefer reds. Our Bali outlet has a spacious outdoor area and in Jakarta all areas are enclosed and air-conditioned. Do you have separate smoking and non-smoking areas in your restaurants? Let’s talk about wine. Has VIN+ seen a decline in sales since the hike in alcohol taxes last year? How are you dealing with this challenge? The increase in alcohol taxes has not had a great impact on total sales revenue. What it does do is make it difficult to sell high-end wines due to the high selling price. However, the market continues to grow. We are very much involved in lobbying and petitioning the government to come up with a win-win solution to all (consumers, retailers and the government). This is an ongoing process. Do you foresee any further price changes being handed down by the government? Of course, the government always wants to improve earnings by increasing taxes, but by doing so it will only encourage people to smuggle, which becomes another problem. Whether or not another increase will go through remains to be seen. What is the most popular wine you sell? Wines with a sweeter taste are very popular, like Moscato, Lambrusco, and wines with a selling price below Rp.500,000. Do you face challenges when importing wines? Do regulations frequently change? There are always challenges when importing wines, but we are quite experienced and confident since we have been in the business for more than 10 years. And yes, regulations do change frequently. Where are the majority of your clientele from? And how many guests do you see on average on a busy month? Our majority clienteles are locals; 90 percent local and 10 percent expatriate. On average we see about 3,000 transactions take place in our stores each month. What are the high and low seasons in your trade? The high seasons are February (Chinese New Year and Valentine’s Day), April and May (the wedding seasons), November (Thanksgiving), and, of course, December (Christmas and New Year’s). The low seasons are January, as people tend to cut back after the long holidays and end-of-year celebrations, and June to August, during the school holidays. Do you have any events coming up in the future? In Kemang, every Monday in January is ‘Hot Monday’, where members get 50 percent off of Sirloin Grain Fed Steak (for members only), and this special offer changes every month. In our Kemang, Pondok Indah and Central Park branches, we have Winderful Deal every day, where you can enjoy wine by the glass at only Rp.50,000++. Our most well-known event takes place monthly, where we have one day of free wine tasting open to the public. This usually happens in the middle of each month and dates for the next event are to be announced. Each month, we will be highlighting different selected wines or new arrival wines with special promotion discount of 20 percent, which is available at all VIN+ outlets in Jakarta. In January, we are highlighting selected variants of D’Arenberg wine. What do you love most about your job? What do you look forward to at work every day? I love the products we sell – wine! I enjoy sharing with the market as well as educating our staff and team on the products, as well as how to sell the products. I also really love meeting new customers. There is no limit to learning about wine and I think wine brings people together.